This is not a story about breast cancer. This is not an account of the devastation of diagnosis, the pains of treatment, or the gripping fear of the unknown. This is not a story about a victim. 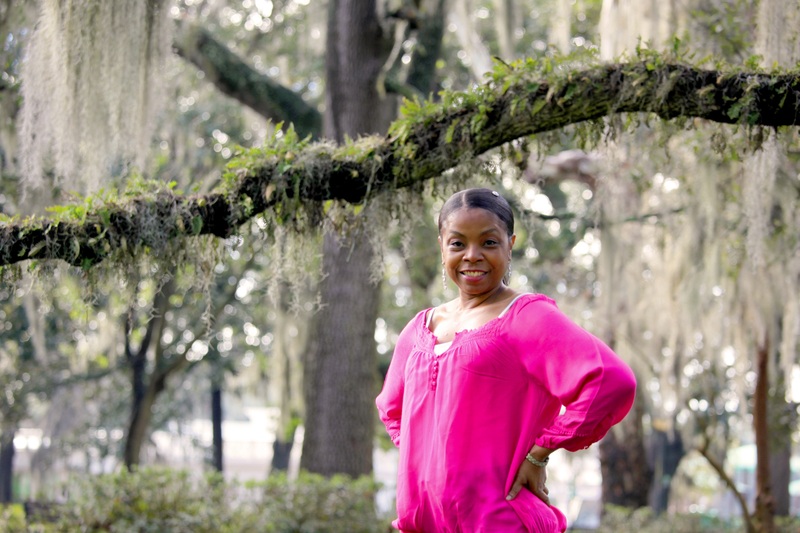 The journey of March’s Survivor of the Month, Latresisa Lassiter, is one that began on a winter day in 2012, but continues to this day. Latresisa is a woman who refused to allow circumstance to define who she is, and used adversity to grow stronger in connections to her faith and family. Her story is one of survival and finding an inner strength that not only carries her through hard times, but allows her the ability to share her courage with others. In the summer of 2012, Latresisa had a full schedule and a busy life, full of activity and errands, with her family nestled in the middle. “I’m a military wife and mother of five. My life is pretty busy having such a big family. Taking care of home is my first priority… I love to cook, read, garden and do various crafts during any free time I have. Eating healthy, exercising and being active are part of my daily life.” As she prepared to relocate her family from South Korea to Coastal Georgia, she did not know how dramatically her life would change within a handful of months. As soon as she learned of her diagnosis, Latresisa began to read as much as she could about the disease to prepare herself for the road ahead. Becoming more informed about what she was up against was another important part of gaining the confidence that she would need to beat this disease. “I started reading and educating myself so I could properly address the questions I knew family and friends would have, and I (the questions) would have for the doctors. I found comfort in understanding my diagnosis. The second opinion confirmed invasive ductal carcinoma with DCIS. I was armed and ready this time with my faith and education.” Breast health education and advocacy are just two of the services that are offered through Susan G. Komen, and a variety resources are available by connecting with the local affiliate in person or online.